Picture from yesterday morning. With news of Hurricane Irene we decided to hunker down in a shelter for the day. We got to Big Branch Shelter, perched high above a babbling brook, away from dead branches and trees. We sat up all night in our three-walled home playing cards and watching the rain come down. By morning, the brook rose several feet becoming an angry river that could have carried cars miles downstream and destroyed houses. Luckily we were safe above the high water mark, another reason we stayed there. 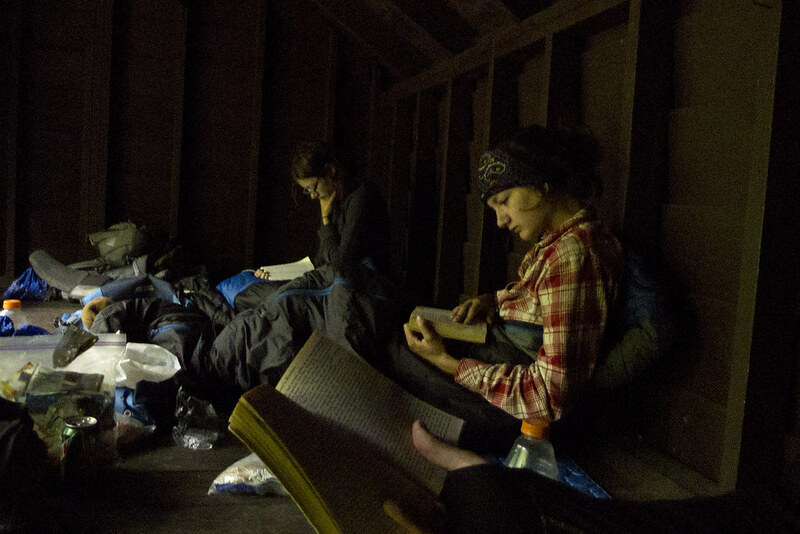 Talking meant having to scream over the sound of the river and thunder that shook the floor, so we mostly stayed in the 18x8' shelter reading quietly with the river in view outside. We could have tried to get to a town, like everyone else on the trail was doing, but didn't want to pass up the chance to spend the night on the AT during a hurricane. It was a relaxing day overall, it kind of felt like a snow day. Sorry I didn't update earlier, I didn't have cell service.